Calgon, a powdered water softener, can be an effective silver-cleaning agent. Mixed with the items you probably already have in your kitchen, you can easily use it to clean any silver cutlery or jewelry. There is no need for expensive jewelry cleaning chemicals or heavy scrubbing, because this method uses chemical reactions to reach and lift grime, even if it is in an area that is hard to reach. Also, this technique takes only a few minutes of your time. 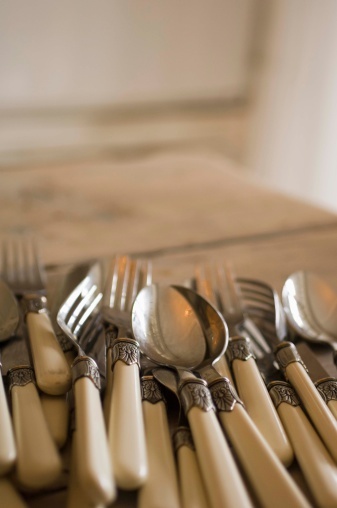 Use Calgon to clean your silverware easily. Pour hot water into a bowl, plate or pot that is big enough to contain your silver item. Add salt and Calgon to the water, then mix well to dissolve. Place a piece of aluminum foil in the water. Immerse the silver item in the solution and leave it. Take out the silver item from the solution after about one minute. 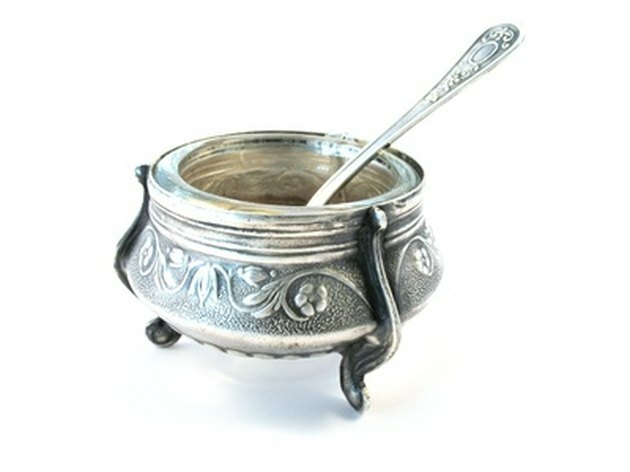 Rinse the silver item with water to remove any residue, and wipe it dry using a soft clean cloth. Rub the item gently to remove any remaining stains.